The killing of a 25-year-old man at a car wash that led to a violent shootout between two suspects and Las Vegas police last week may have been gang-related, records show. Thomas Romero, who was shot dead early July 11 at a self-service car wash at 1402 N. Eastern Ave., was an FTC gang member, according to a police document released Tuesday. The suspects in his death — Fidel Miranda, 22, and Rene Nunez, 30 — have possible gang-related aliases, police said. Details surrounding motive have not been released, but because of Romero’s gang ties, the Metropolitan Police Department’s gang unit led the initial investigation. Footage captured that morning by four security cameras placed Romero near the rear passenger side of a stolen black Ford Expedition inside the car wash bay while Nunez washed the vehicle on the driver’s side, Nunez’s arrest report showed. In the footage, Miranda can be seen walking up to Romero just before 7:25 a.m. as he fired a weapon, the report said. Almost immediately after the gunfire, Nunez also drew a weapon with his right hand, his arrest report shows. While Nunez “continued to hold his firearm,” the two men spoke briefly before entering the Ford, with Nunez in the driver’s seat and Miranda in the front passenger seat, the report said. “Both Nunez and (Miranda) appeared calm and walked at a normal pace,” detectives detailed in their report. 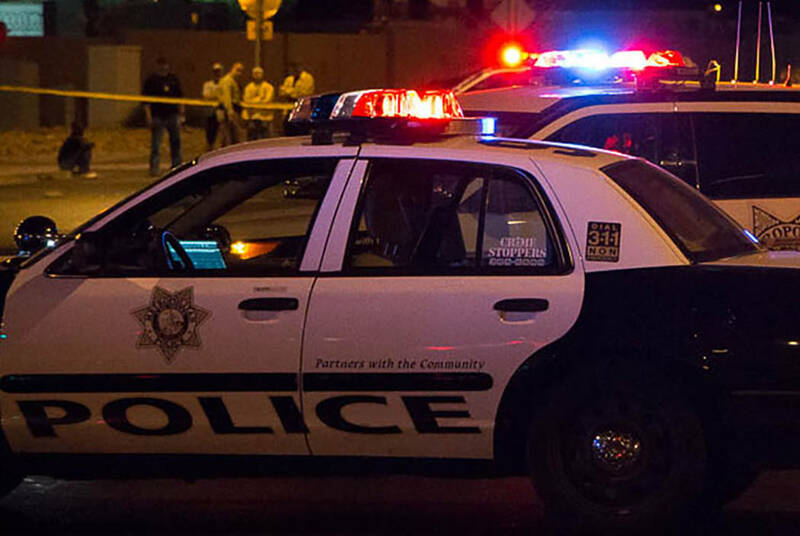 After the shooting, police spotted a Ford Expedition matching the suspects’ vehicle description near downtown Las Vegas, prompting a shootout as police chased the SUV. During the chase, the suspects fired at marked patrol vehicles, police said. Officer William Umana, 43, returned fire with 11 shots through his windshield and seven shots through his open window, Metro announced Monday, while officer Paul Solomon, 46, fired his shotgun once at Miranda. The shootout left Miranda dead and Nunez injured. Nunez survived and faces charges of murder, attempted murder with a deadly weapon on a protected person and several other gun charges, records show.